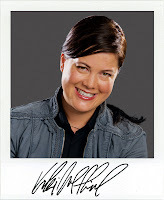 Gameplanet has had a fairly long yarn with Kiki Wolfkill whom Halo fans will know as Frankie's right hand lady - i.e. one of the producers of Halo 4. Gameplanet: You mentioned core pillars – what are these, and how do they influence the way 343 put together the game? Kiki Wolfkill: You can look across any number of games and they'll have similar pillars, but for us, when we sat down and started thinking about what Halo 4 needed to be, we looked at the whole breadth of things coming out over the next three years, we looked at player behaviour over the next three years, we looked broadly at how entertainment is evolving, and tried to think about those. So I think where we landed was that we needed to understand what is the key strength of Halo, and what are the key things that differentiate us. So rather than chasing other things, let's make sure we're really doubling down on things that are strengths and differentiators of Halo. And I think epic Sci-Fi is one of those, and a lot of people on the team – including myself – can clearly articulate how they felt the first time they played Halo 1. The first time they landed on that Halo ring. That became something that really resonated with the team in terms of how do we get back to that feeling? For people who have played Halo before, but also for people who haven't played it before, because there are people who were five years old when the first Halo came out. So how do we get that moment of wonder and awe and amazement that the player has been transported to this place that they want to explore. 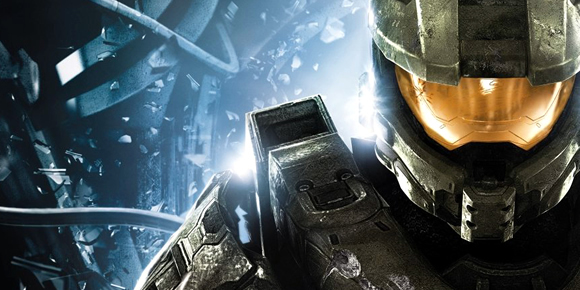 So that kind of gets back to that first pillar – we wanted to deliver this epic Sci-Fi adventure, and closely tied to that is the return of Master Chief. We wanted to make sure that felt meaningful. The second pillar was really around delivering a very powerful and visceral campaign and gameplay experience. Our Halo sandbox is a really powerful and unique characteristic of Halo, so it's about how we build on that and add whole new experiences that can be gained by adding new tools to the sandbox. That's where the new enemy class came from, and all the things they bring with them. The other part of it is how do we ensure a good first-person experience? You're a 900-pound Spartan, you're heavy and powerful, but you're also very nimble and light – how do we make sure the player feels that a little bit more in the style of their movement, and the audio that they're hearing in their heads-up display? I think those became focal points around that pillar. Then the third is that we have to deliver on innovation in multiplayer. For us that manifested itself in Spartan Ops, exploring this whole new delivery method and a whole new co-operative mode, and also the changes we made to the competitive multiplayer. Having this infinity multiplayer overlay, this idea that there is a narrative that connects you to the campaign experience, and this idea that the campaign and multiplayer aren't these completely disconnected game experiences. We want all of it to feel like it's part of a whole, and in multiplayer when you build your Spartan force, you have a sense of place and understanding as being part of that universe. I think this shows that Kiki should clone herself and she should work on every game!